TAG Heuer has unveiled a new high-tech prototype watch to celebrate the 24 Hours of Le Mans race – the TAG Heuer MONACO 24 Concept Chronograph. 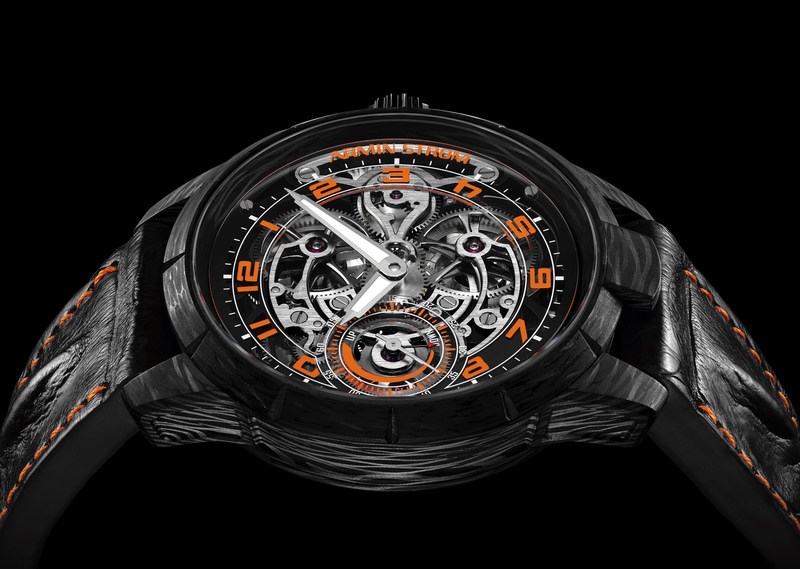 It is inspired by the Le Mans endurance racecars and comes with a Calibre 36 movement that “floats” inside an oversized (40.5mm) black PVD-coated case, suspended within a steel-tube housing and visible through the dial face and the sapphire crystal caseback. The components of the TAG Heuer MONACO 24 Concept Chronograph are further protected by a new composite filter material that’s used in auto racing. Custom built in industrial-grade tungsten, the three arrows of the oscillating weight echoes a GT car’s chrome mags. The TAG Heuer MONACO 24 Concept Chronograph features the iconic blue and orange livery of Gulf Oil. The TAG Heuer MONACO 24 Concept Chronograph is water resistant to 100 meters and features an anti-reflective double-sided treatment on the curved sapphire scratch-resistant crystal glass.